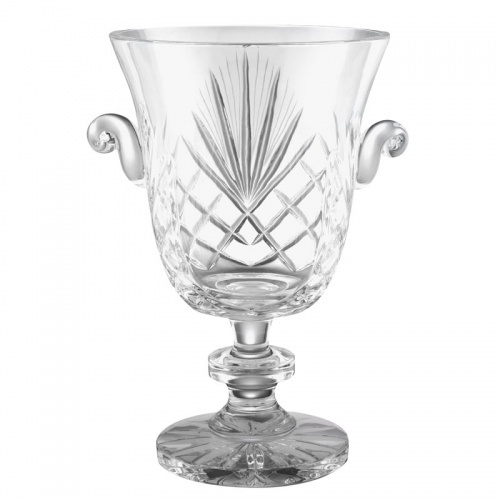 Superb crystal trophy vase crafted in 24% lead crystal with handcut decoration and a blank panel for engraving. Includes a multi-faceted ball on the stem and two short curled handles. 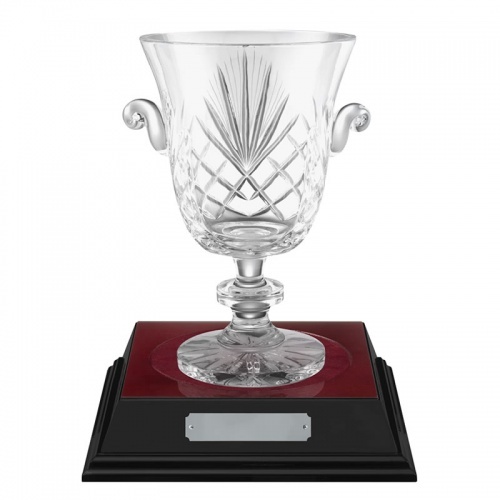 These 9.25in tall presentation vases are offered here with an optional recessed base in a two-tone finish with high gloss black sides and rosewood top. We offer engraving options on the body and optional base plate.